Click here to browse Tough Stuff Resources from our Online Resource Library! The Genesis Center has a special section for children regarding difficult topics such as death, grief, violence, domestic issues, bullying, etc. Children process difficult emotions differently than adults and even teens. Below you will find resources for helping children cope with life's tough stuff. 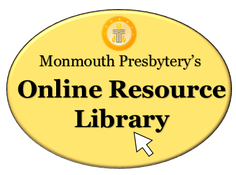 For more information or to speak with someone about resources for a particular tough issue, please contact us directly at resources@monmouthpresbytery.com or by filling out a contact form. Disclaimer: The resources below do not necessarily represent the beliefs, opinions, or theology of The Genesis Center, Monmouth Presbytery or its staff. Furthermore, the resource below are to be used for educational purposes only and are not substitutes for direct professional medical care or psychological care. From the American Academy of Child & Adolescent Psychology, this article explains some of the psychological issues and changes that occur when a child experiences the death of a loved one and how to help a child navigate through their grief. From the website aboutourkids.org this article explains what children may be feeling and dealing with during the various stages of grief. It breaks behaviors down by age groups and offers further resources for more information. From the website Ministry-to-Children this helpful article for leaders, teacher and caregivers explains how to be compassionate and aware of a child's, whose father has past, unique grief on Father's Day. From the website Ministry-to-Children this article can be especially helpful for leaders, teachers, and caregivers of a child who is experiencing grief over the loss of a loved one. From Kidshealth.org this short narrative is written for children to help them understand how to support a friend whose family member has passed away. From the website Ministry-to-Children this helpful article for leaders, teacher and caregivers explains how to be compassionate and aware of a child's, whose mother has past, unique grief on Mother's Day. From the American Academy of Child & Adolescent Psychology, this article helps parents and caregivers explore ways to help children cope with the loss of a beloved pet. Founded in 1959, Child Help is a National Organization that has many resources available for children, parents, caregivers, and teachers to spot, stop, and prevent child abuse. From the website kidshealth.org this article is for parents and caregivers to help them talk to children about abuse, who to tell, and how to stop it. From the American Academy of Child & Adolescent Psychology, this article helps parents and caregivers explore the issue of violent TV programming. From kidshealth.org this short article is written for kids to learn about gun safety. From the PCUSA website: Revised for the tenth anniversary of September 11. This study was originally written in the days after September 11. Learn about the needs of children during a crisis and how to talk about death with children. Use this resource during a church school class or midweek study session. From the PCUSA website: Faithful Caring for Children: Responding to Affects of Trauma in Children, created in 2012 by Kate Wiebe, MDiv/Phd. From the American Academy of Child & Adolescent Psychology, this article helps parents and caregivers begin conversations with children about the issues of war and terrorism in age appropriate contexts. From kidshealth.org this article is for parents and kids to read together about how to cope with the fear and reality of terrorism in our world. From the American Academy of Child & Adolescent Psychology, this article helps parents and caregivers understand the causes and effects as well as the risks of violent behavior and what to do about it. Our cyber-bullying page has a lot of great resources on how to spot and stop bullying. From kidshealth.org this article is for kids to learn about how to deal with bullies and where to get help. From kidshealth.org this article is for kids to learn about how to support a peer who is being bullied and where to seek help. From kidshealth.org this article is for kids to learn about peers who have special needs and how to build friendships that are diverse and understanding. From kidshealth.org this article is for kids to learn about the difference between talking and gossiping and how rumors can hurt our friends feelings. From kidshealth.org this article is an overview of depression for parents and caregivers. From kidshealth.org this article is for kids to learn about the importance of building a good self-esteem. From kidshealth.org this article is for kids and parents to read together and talk about the risks of drinking alcohol. From kidshealth.org this article is for kids to read about the dangers of smoking and how to cope with parents or caregivers who smoke. From kidshealth.org this article is for kids and parents to read together and discuss the dangers of drug use. This article is an overview on drugs but the website also offers articles on specific drug use. From kidshealth.org this article is for kids to learn about the dangers of smoking. From kidshealth.org this article is for kids to learn how and when to call 911. From the American Academy of Child & Adolescent Psychology, this article helps parents and caregivers explore the effects of 24/7 news programming on children. From the American Academy of Child & Adolescent Psychology, this article helps parents and caregivers understand the benefits and risks of the internet. From kidshealth.org this article is for kids to learn about the dangers of peer pressure and how to stand up against negative influences. From kidshealth.org this article is for kids to make a plan on how they would respond in an emergency. From the American Academy of Child & Adolescent Psychology, this article helps parents and caregivers understand a child's needs and explore ways to help them cope with a disaster and the "unsafe" feelings they may be having. From kidshealth.org this article is for parents and caregivers to learn more about why children run away and what they can do to help. Know of a tough stuff online resource that you feel would be good to have on this page? Email us. We will check it out and possibly add a link to it on our website.